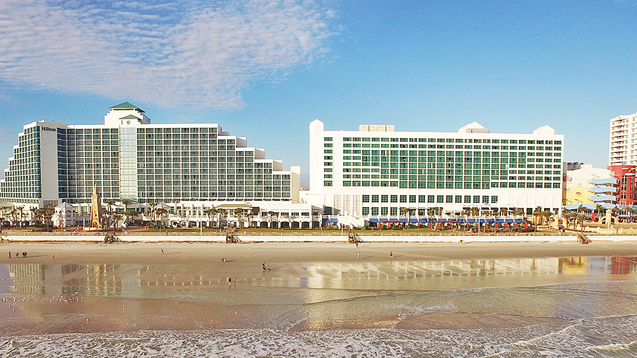 The Ancillary Retail Expo will take place January 14-15 at the Hilton Daytona Beach in Daytona Beach, Florida. For more information on the hotel, its location and directions to the venue click here. A block of sleeping rooms are available to the Ancillary Retail Expo guests for $109. This rate is only available until December 30th and is subject to availability. Any requests received after this date shall be handled on a space available basis and if the group rate is not available the prevailing rack rates will apply. To reserve a room, please click here or call the Central Reservation Office at 1-866-536-8477.